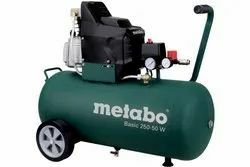 With sincerity and hard work of our professionals, we have carved a niche for ourselves in this domain by providing a premium quality gamut of Oil Free Air Compressor. "सेंट्रीफ्यूगल कंप्रेसर 3 बार - 18 बार डिस्चार्ज प्रेशर और 200 HP से 1000 HP हॉर्स पावर"
With our expertise and trustworthiness, we are engaged in offering an optimum quality range of Oil Less Air Compressor. 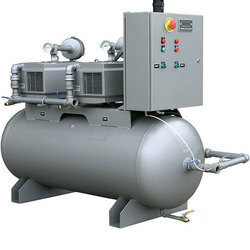 With enriched domain experience and knowledge in the relevant field, we are trading a wide assortment of Oil Free Reciprocating Air Compressor. We offer our client an excellent quality range of Reverse Osmosis Plant. These products efficiently treat unfit ground water and turn it into quality water that is fit for drinking and also for industrial use. These products are widely known for its durability and quality. Our Reverse Osmosis Plant can be availed at competitive price. Dental Oil Free Compressor 1.1 HP.